Paul A. Fisher has one of the best paint designs for a Q-200 I've ever seen! He's flown N17PF nearly 1400 hours over 18 years! Photo Credit - Oshkosh 2006 Plog . 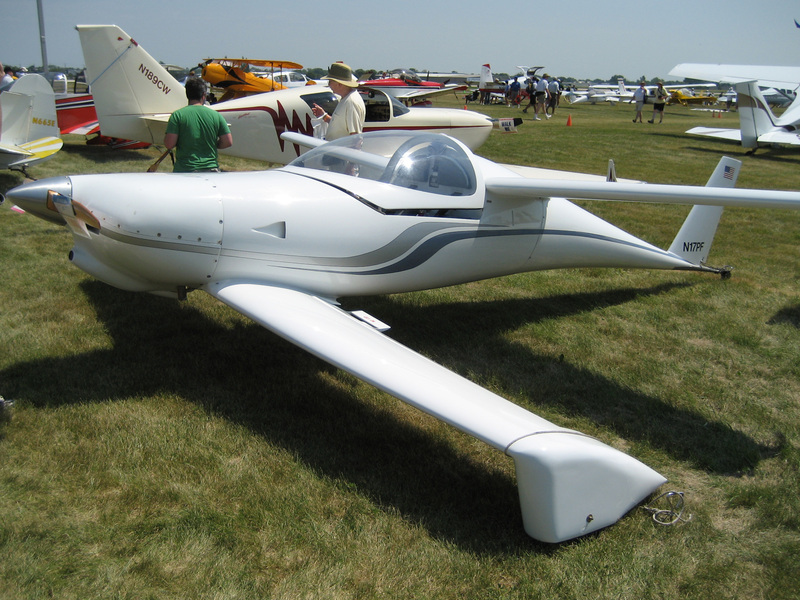 The Quickie Q-200 is a two-place, high-performance, composite, homebuilt aircraft. 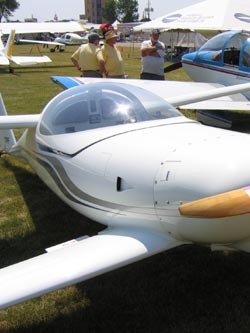 The Q-200’s compact size and efficient design evolved from the original single seat Quickie (mid-1970s) and the Q-2 (early 1980s) kits produced by Quickie Aircraft Company. Q-200s requires between two and five years to build. The Q-200’s high-lift canard (forward wing) is fitted with an elevator for pitch control and produces approximately 60% of the total lift. The rear wing is fitted with conventional ailerons for roll control and the tail has a conventional rudder for yaw control. The original Q-200s were designed as tail wheel type aircraft with the front wheels mounted on the tips of the canard. Some Q-200s were modified with a tri-gear arrangement. The Q-200 is designed to be powered with a 100-hp Continental O-200 engine and other engines including Mazda, Subaru, Rotax, and Corvair engines in the same horsepower range. Several hundred Q-200 plans were sold with an unknown total of those actually being completed.